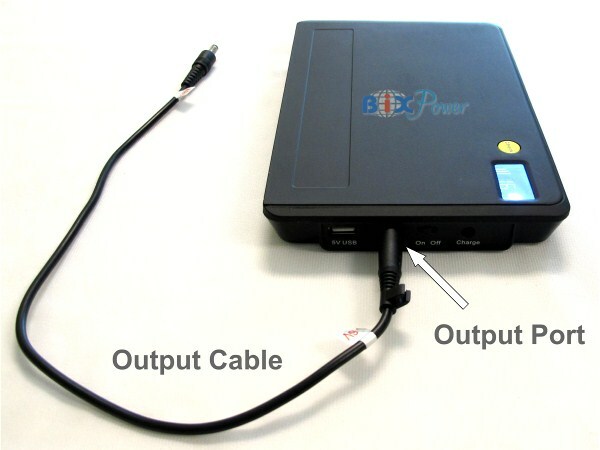 5V USB port and 12V output voltage available. This battery has a 5V USB port that can be used to power or charge cell phones, iPhones, iPads, MP3/MP4 players, PDAs or any device that can be charged from a USB port (USB power cable not included). 2. 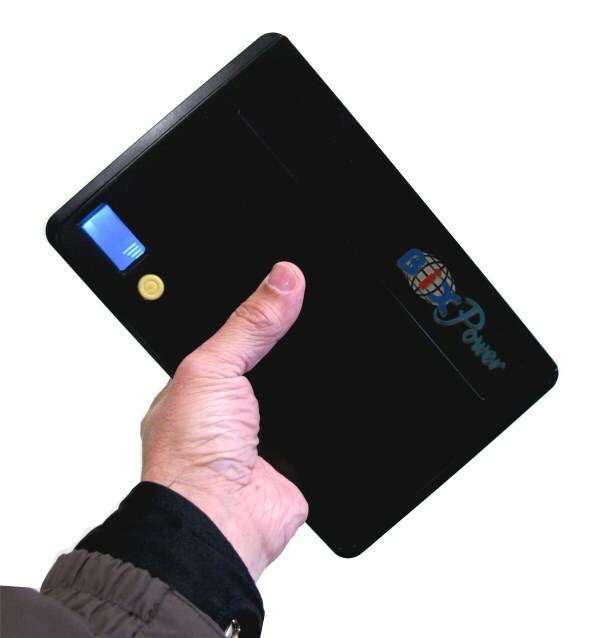 High capacity: This battery capacity is 99 Watt-hour ( or 27000 mAh if we rate this battery capacity like some other brand external batteries on market). We suggest using "Watt-hour" instead of "Amp-hour" to compare capacities of different batteries. Watt-hour or Wh, is a more accurate unit to show the power capacity than Amp-. Hour (Ah) that was used before. The Watt-Hour unit means the wattage that the battery can provide within one hour. This battery capacity is equivalent to a 12-cell lithium-ion battery. In most case, it can add 2 ~ 3 times of an internal battery running time. For example, if a Microsoft Surface Pro 4 computer internal battery can run 4 hours, this battery can add extra 8 ~ 12 hours running time. 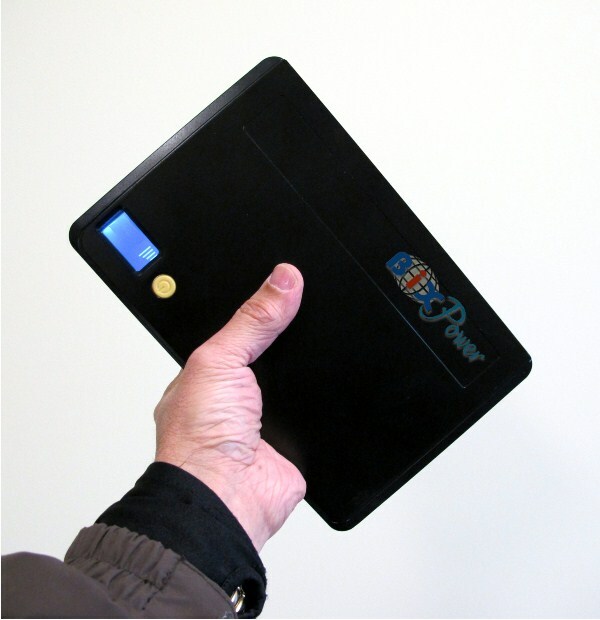 Battery type: Lithium ion rechargeable battery. 12V output voltage controlled by output cable. 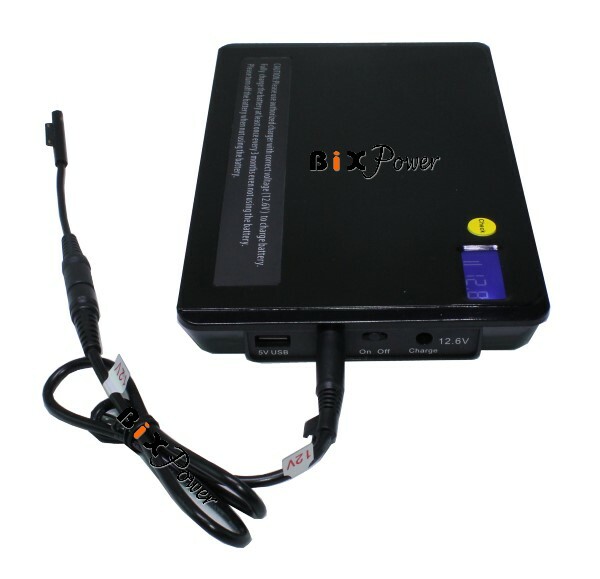 Will provide up to 8 ~ 12 Hours of Power depending on Laptop and Usage. 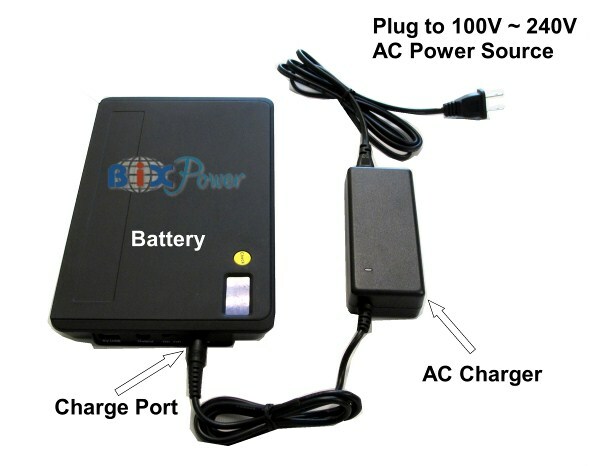 The battery package includes a 12V output cables with built-in voltage control chip. 4. On/Off: Using on/off switch on the front to turn on the battery before using it. Please turn off the battery when not in use. Leaving the battery “on” may build up static inside the battery cells and damage the battery.